Sports broadcaster ESPN has launched a new global football app for its Soccernet brand, offering news, live scores, audio and video content. 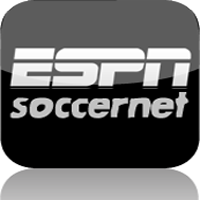 The ESPN Soccernet app is initially being released for iPhone, with Android, Windows Phone and Symbian versions to follow. The new app’s global launch follows ESPN’s UK success with its ESPN Goals app, which offers video clips of every Premier League goal. The app has been downloaded nearly 2 million times in the five months since its relaunch in the UK.